The experts at LeadGeneration.com work in partnership with our clients to develop campaigns that will generate qualified leads through the most efficient means available to maximize ROI. We leverage a broad spectrum off online marketing strategies and bring them together to create a cohesive program that brings opportunities from multiple channels. Drive traffic to your website by getting ranked highly in search engine results for targeted keywords and phrases. While this approach takes some time to achieve optimal rankings, there is tremendous lead generation opportunity to holding those positions. Increasing traffic from users proactively seeking your offerings can provide a steady flow of quality leads without advertising. Utilizing platforms like Google AdWords, Bing, Facebook and LinkedIn, we can quickly gain mass exposure to precisely targeted audiences. Our certified professionals are experts at creating effective ads and leveraging the tools within each platform to optimize targeting and performance. Further, we monitor the results continuously and refine your campaigns to yield the best return possible on ad spend. Our experience shows that Social Media can be your greatest driver of leads if managed effectively. But many businesses struggle with how to approach this medium. Our team has expertise in developing the right strategies for your brand, amplifying your reach, and driving a lucrative flow of social-referral traffic back to your website. Positioning your company as experts and thought leaders in your field can help build the credibility of your brand and provide an edge over the competition. We help you to craft content that is valuable to your prospective customers, and then promote it across the right platforms to expand its reach and ability to engage new audiences. Particularly with large purchase decisions, customers are likely to spend a good deal of time researching early in the sales funnel. Whitepapers are detailed documents that typically provide in depth or technical information on a product or service. Put your expertise up front for prospects to see and help them decide that yours is the right solution. Gaining exposure in the media is a highly effective means of building credibility and visibility to your brand. By leveraging experts within your organization, we work to position you as a resource to all types of media channels. This exposure can frequently lead to additional direct inquiries compounding your results! When your prospective customers see you quoted in a major publication it adds that much more confidence to their decision to buy from you. By nature, prospects that are engaged through lead generation are at different stages of they buying cycle. While some may be purchase ready, others may be weeks or months away from making a buy decision. Lead Nurturing is a process of soft touches to keep your offering top of mind by offering additional resources in an automated fashion that appears human. Our team can help you structure effective approaches to guiding your leads to a purchase decision through education and engagement. Many campaigns are typically focused on one or few products or services. In these cases, it is advantageous to direct your audience to specific unique pages that have isolated focus on those offerings. These may be part of your primary website, or a unique URL all together. Our team specializes in designing landing pages that are optimized for conversion to maximize the results of the medium(s) used to drive traffic to them. Direct inbound calls can be the hottest leads your organization can receive. When using multiple marketing channels, it is highly valuable to have intelligence on which are driving calls and bringing qualified prospects. By using our call tracking solution, unique toll and/or toll free numbers can be used for each medium. Calls that come to each of these numbers are tracked with detailed reporting and can even include recordings of every call. Offering useful web based tools or resources to your audience is a compelling way to engage visitors and generate leads. A prime example of this is our WebsiteAnalysis.com site that provides and SEO evaluation of your website against your competitors. Our team can help from concept through development and promotion. Almost every campaign we manage incorporates our creative services team. From developing initial branding, to creating unique content, or a compelling ad campaign, we have the talent to help your organization succeed. Our approach is always focused on end results and what is going to speak to your prospects to encourage them to engage you. Two of the essentials to getting return on leads are 1. immediate follow up and 2. scoring and nurturing leads with longer sales cycles. Not every sales organization has the tools and resources to manage these process effectively. We can work in compliment to you team and help implement automation to help make your lead generation program even more successful. Want to learn more about how we can leverage these strategies to develop an effective lead generation campaign for you? 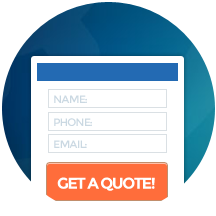 Complete a Request For Quote or Live Chat with us or call 844-340-5689 now.